Organizational change is a given to drive ongoing business success. But change can be a challenge when met with resistance. No matter if you are dealing with a small company or a global corporation, understanding employee resistance to change is essential when gaining buy-in. One of the most significant teaching moments I had regarding resistance to organizational change was with a manager named Janet. Because I was in a role that required me to influence others, understanding the reasons why people resist change had a significant impact on my success. In my case, understanding the “why” made all the difference. While there are lots of reasons why employees resist change, according to Janet the root of individual resistance can be lumped into three different buckets: intellectual, emotional, and judgmental. When people resist because they don’t “get it,” you are dealing with intellectual resistance. If you are in the business world and meet with intellectual resistance, it could mean the receiver doesn’t have the business competence or experience to understand what’s at stake and how the change will address and support the goal. It could also indicate a misunderstanding — perhaps the receiver didn’t quite connect the dots. Intellectual resistance is easiest to deal with because the receiver can learn. Identifying gaps provide the opportunity for self-learning and mentorship. Sometimes it just takes a little extra attention to address gaps in business understanding to change opposition to full-fledged support. More difficult on the resistance scale is emotional resistance. In this case, the receiver “gets it” but doesn’t like it. There are numerous indicators of emotional resistance such as the fear of known skills gaps or unknown expectations. In some cases, it’s simply a matter of comfort with how things are at the moment and not wanting to change. Often change requires going through the process of learning a new way of working; a task some resent especially if they are content with the status quo. When gaining buy-in from those expressing emotional resistance, reinforce how you will support them during the change process. As an example, offer training classes and additional certifications as part of the process. Let them know the positive aspects resulting from new ways of working. Remind them that the team and company’s overall success depends on everyone being on the same path; therefore, their contribution is vital. Of the three categories of resistance, judgment is the hardest to address. In this case, the receiver gets it but doesn’t like the person presenting it — be it a manager making a team change or the CEO making a business change. Judgement resistance typically stems from a lack of trust. Perhaps the receiver had a previous negative experience with the person presenting the information. Or, maybe the presenter has a reputation for being untrustworthy. Judgment resistance could also stem from lack of respect. Perhaps the receiver doesn’t deem the presenter competent or worthy of their role in the change process. It’s critical to create a culture of trust encouraging employees to contribute thoughts and ideas to progress the business. Winning buy-in from those whose judgment creates resistance will require extra effort to create ease and flow in a change process. And with any change strategy, there will always be those who drag their feet throughout the process, regardless of how well you address their concerns. The most pivotal move in any case of change is to understand the “why” that creates resistance. Once you have the why, you can create a communications campaign to address the issues, all while emphasizing how the change will result in positive benefits to the organization. What one thing do you most worry about when it comes to this proposed change? What would it take for you to feel better about the upcoming change? How would you like to see this change implemented? With a change plan, communication is critical to success. No matter what kind of resistance you are met with, help employees understand the business driver for change. Keep the messaging focused, emphasizing the driving message in every communication whether in writing or speech. Offer an open Q&A in a pre-emptive effort to address distractions. Be as transparent as possible to build trust. Leverage innovation facilitators — coaches or employees trained to facilitate dialogue from divergent perspectives, through forming, storming and norming, into a coherent, cohesive proposal or recommendation. It can be disruptive to surround yourself with individuals who are opposed to you. And it’s challenging to manage a team that has unique and different perspectives. Innovation facilitators lay a foundation for positive, diverse group experiences with outcomes that have the potential to make a positive impact to business. Leverage employee-led groups such as affinity groups to better understand resistance and provide a platform to focus on the future. Employee-led innovation groups where the senior representative acts as a sponsor instead of a leader can also be effective. In teams where hierarchy is invisible, members are more willing to express themselves more freely. 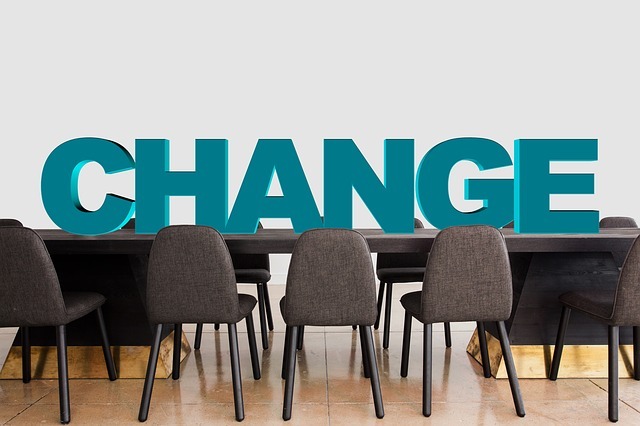 As Heraclitus of Ephesus noted around 500 BCE, “Change is the only constant.” The more adept managers become at helping teams move through change, the more efficient and effective business strategy can be executed. Change may create resistance, but when the value proposition is clearly defined, support mechanisms are in place, and effective communication is found throughout, change strategy can not only yield positive results, it can also be an exciting time of transformation. Sheila Callaham is a best-selling author and longtime communications and change management professional. Sheila leverages the power of words to influence stakeholders and shape perceptions.